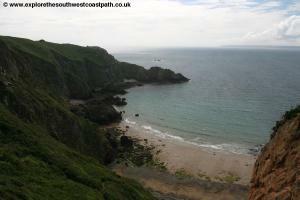 This walk takes in as much of the coast line of Sark as possible. 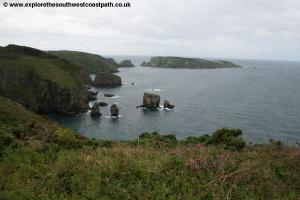 Unlike the other islands there is no formal coast path around the island and whilst there are numerous stretches of coast path they are often not connected, meaning a diversion back inland. 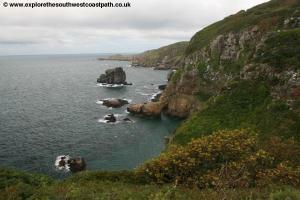 Sark is however a beautiful island to explore and this walk takes in much of the island. 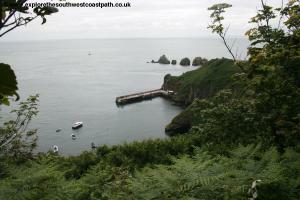 Sark has a regular ferry service from Guernsey, year round which takes around 45 minutes. 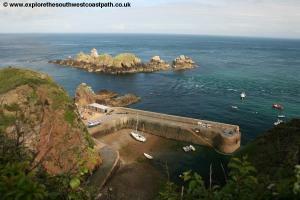 There is also a summer ferry service from Jersey to Sark. For details see the link below. 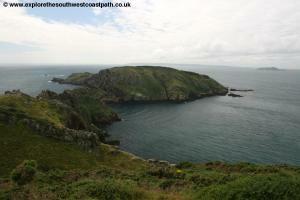 Although a small island, Sark has an excellent range of accommodation available. At the time of writing there are 6 hotels, 9 guest houses, 6 self catering cottages and two campsites providing a range of accommodation to suit all budgets. 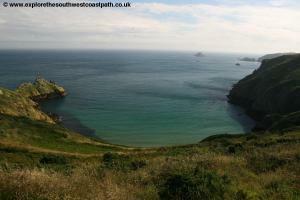 Sark.info Accommodation provides a comprehensive directory of accommodation available on the island. On arrival at the island by boat you arrive at Creux Harbour. There is a cafÃ© and toilets here. Take the steps through the tunnel and up onto the road, but very soon after you join this road take the signed footpath on the right. 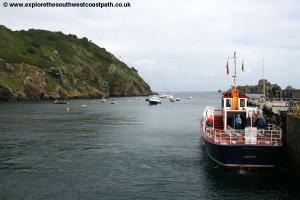 This climbs onto the cliff top and offers fine views back down to Creux Harbour and nearby Maseline Harbour where there are usually many boats moored. 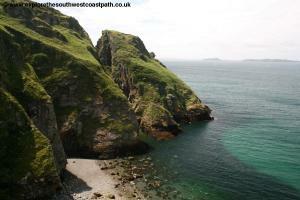 Keep to this path for a short distance and then it turns left away from the coast to become a track. At the junction of tracks ahead, turn right and then ignore the track off to the left and continue straight ahead on a footpath. This soon splits with a steep path down to La Greve de la Ville ahead, but this is a dead end. So turn left at the junction of paths to join a track and when you have another track on the left, take this. On reaching the main north to south track turn right and follow the main track heading due north. After passing Maison Pommier, turn right at the junction of tracks and follow the path down to Banquette Landing. 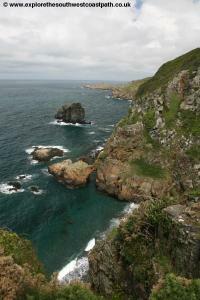 Although this is a dead-end it has fine views back along the east coast of the island. Re-trace your steps due west and when you reach the track you walked on coming from the left, keep straight on until you reach a T-junction and then turn right and take the the pathes out to Epergquerie Common. 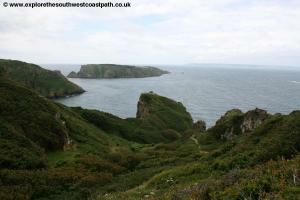 This has fine views of both Sark and the other nearby islands and rocks. 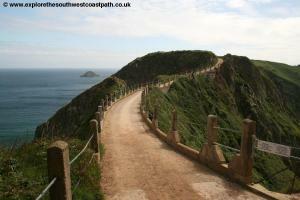 Take one of the many paths route out to the northern tip of the island for the best views. 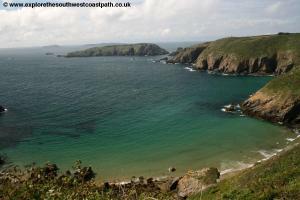 Re-trace your steps and when the path splits, take the right most path to head along the north western edge of the island, where the coast is more rugged and rocky and less green. 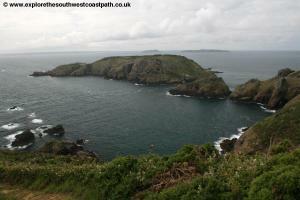 You can see the island of Brecqhou off the coast of Sark, which is a private owned by the Barclay brothers. Re-trace your steps back to the main track and continue ahead, due south. Ignroe the track you originally joined this one from on the left and continue due south until you can turn right to the Window in the Rock on the right. Take the path that leads out here from the track and down into the valley. The window in the rock is a hole cut in the rock which offers wonderful over the little bay below and the west coast of the island. 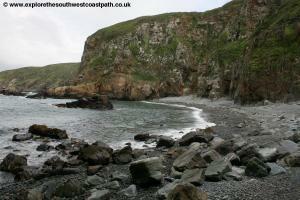 There are also steps down to the rocky beach just south of here although they are very steep. The beach is shingle and rock. 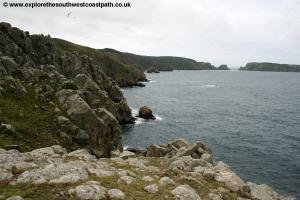 From the Window on the Rocks head back to the main path and continue as it becomes the track you followed earlier. At the junction ahead turn right and continue to the Island Hall and toilets. Here turn right and continue straight on at the junction ahead near the chapel to reach Hotel Petit Champ. 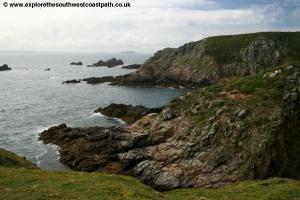 Here continue straight ahead on the footpath out to Gouliot Headland. 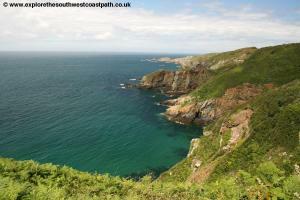 Here you have fine views of the island of Brecqhou. 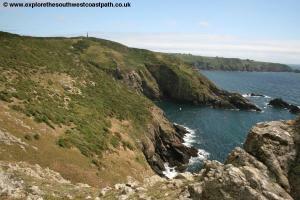 Take the path around the headland and then back to the main track where you can turn sharply right to follow the track out to the Pilcher Monument which again offers good views of Brecqhou and the west coast of the island. 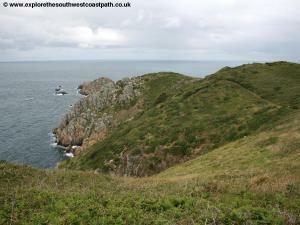 Re-trace your steps along this track and continue to the junction of tracks ahead, where you turn right heading due south on the main path leading to La CoupÃ©e and Little Sark. Soon you reach the spectacular sight of La CoupÃ©e. 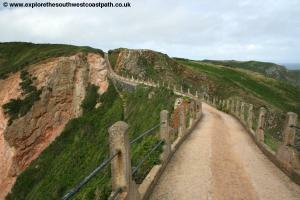 This is a track over what would otherwise be a very narrow strip of land and has a steep drop on either side. 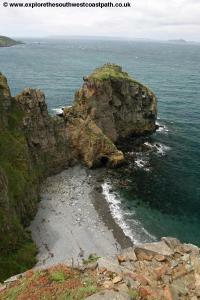 To the right you have the beach of Le Grande Greve, one of the few sandy beaches on the island. 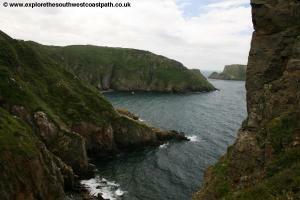 This is accessed down very steep un-fenced steps on the right at the start of La CoupÃ©e. 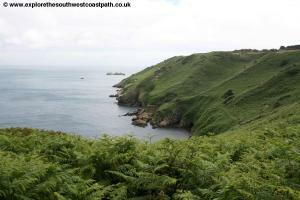 Once across and on to Little Sark you have wonderful views back over the beach at Le Grande Greve. 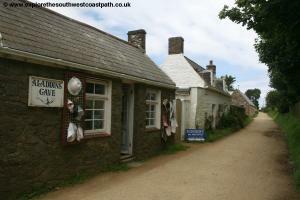 Take the main track south to the centre of the village in Little Sark, where there are a cluster of houses. 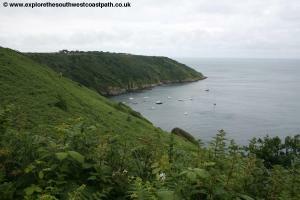 At the end of the track you can proceed straight on where it becomes a footpath and fork right for Fontaine Bay or left for Port Gorey. 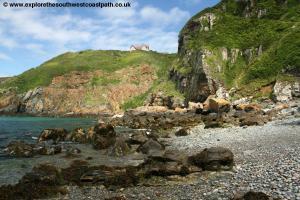 The path to Fountain Bay is a dead end but if you fork right to Port Gorey you can take the path around the back of the beach around some old mines, where you can see the remainders of some of the mining buildings, such as stone towers. Follow the path as it heads back inland to a track where you turn left heading due north. Back at the centre of Little Sark turn right and head along La CoupÃ©e. 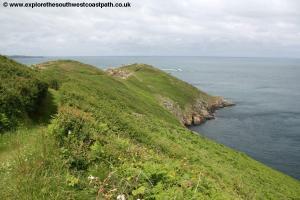 Once back onto Sark itself shortly you turn right on a not very obvious path heading along the edge of fields around the back of Dixcart Bay. On reaching another track turn right and follow the track to it becomes a path above the eastern edge of Dixcard Bay. 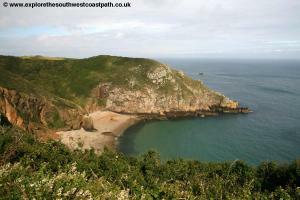 Ignore the path down to the beach and when the path forks ahead, turn right heading NE to reach a track. Join the track and at its end, turn left to visit the centre of the village and then turn right back down to Creux Harbour to end the walk. 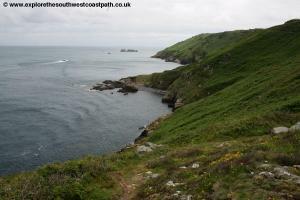 This is a circular walk and boats return to the other islands from Creux Harbour at the end of the walk. Here are some photos taken on the walk. Click each photo for a larger version. 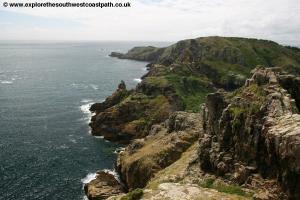 The Ordnance Survey maps do not cover Sark. 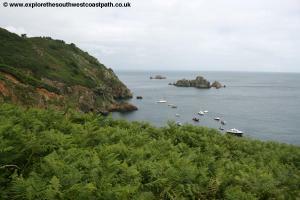 However a free map is available from the Sark shipping office in Guernsey and on Sark itself which shows the main tracks, footpaths and attractions and signposting on the main tracks is good, so it is unlikely you will get lost.